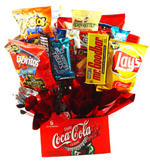 The typical American diet is loaded with sugar and an extremely high amount of it is of the processed variety. This does not provide a good forecast for our overall health, but of particular concern is the effect large amounts of sugar have on teeth causing tooth decay. Our goal at Kristal and Forche Orthodontics is to create beautiful healthy smiles that last a lifetime. It would be a shame if all that time devoted to straightening teeth goes to waste because of a sweet tooth that destroys strong healthy teeth. In order to fight the common sugar addiction, keeping track of the foods you eat every day would be enlightening. You may be surprised at how many foods that may be considered “healthy” are loaded with sugar. Here are examples of 7 foods to avoid, as well as some suggestions to keep your sweet tooth happy and all your teeth well to preserve your beautiful smile. What do you think about all the sugar in our diets today? Leave a comment below to share with others. Also, feel free to contact our office with any questions you may have or to schedule an appointment.